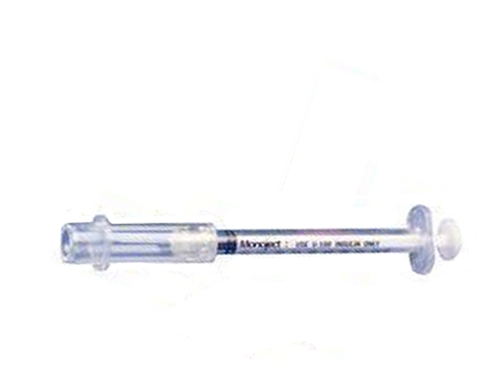 The MONOJECT Insulin Safety Syringe with Needle is a needle syringe with an included safety cap. Made for the safety after the injection of insulin. 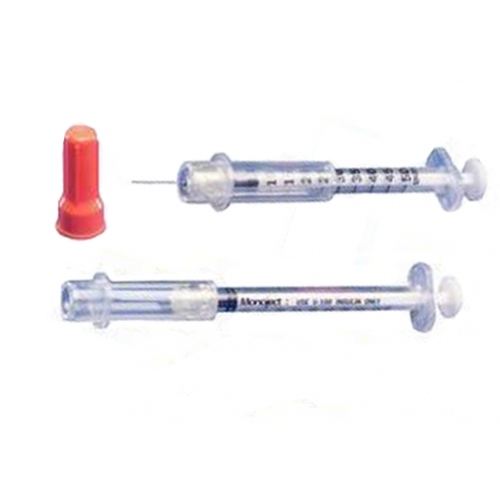 The syringes are made of Polypropylene a material, a plastic known to be safe and not contaminate the contents it comes in contact with; and making it completely disposable after use. Made for home or professional use. 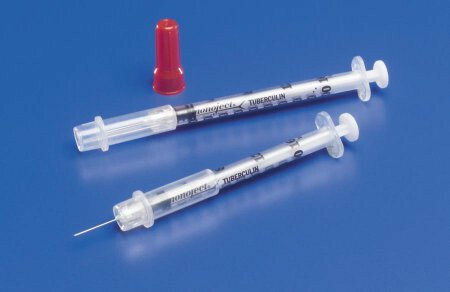 A graduated measurement clearly visible on the syringe keeps dosage accurate - an important factor when distributing the proper dosage. 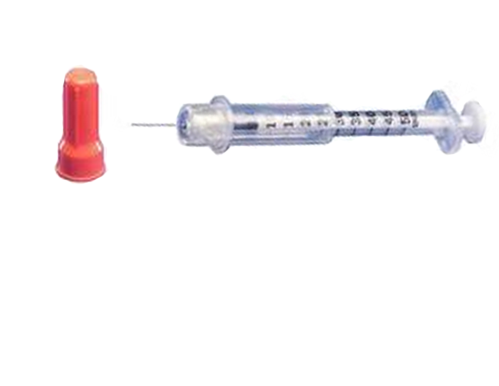 The flat plunger tip is used for properly viewing dosage in a more accurate state, rather than that of angled tips. 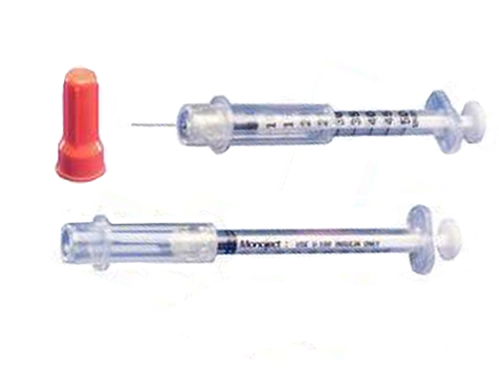 Filling the syringe is easy to view and complete, the needles are sized at 29-gauge and 1/2 an inch long. After procedure is complete, simply slide the safety covering tip over the needle, concealing the needle tip. 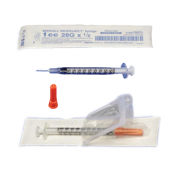 The featured safety shield slides up when done applying insulin to keep needles away from accidental pricking. Safety is important, the sooner a needle is out of harms way, the better it is for all. If you are looking for proper disposal of syringes, you may be interested in the 5 Quart SharpSafety Safety In Room Sharps Container with Counterbalance Lid - Red or Clear.